The Venues are the rooms the classes will take place in. By listing your specific areas, you will be able to clarify your room availability. To add a new venue or change its settings, go to Admin->Location tab. Click Then the second tab is Location Venue. Enter the information for the new Venue by clicking Add Venue button. 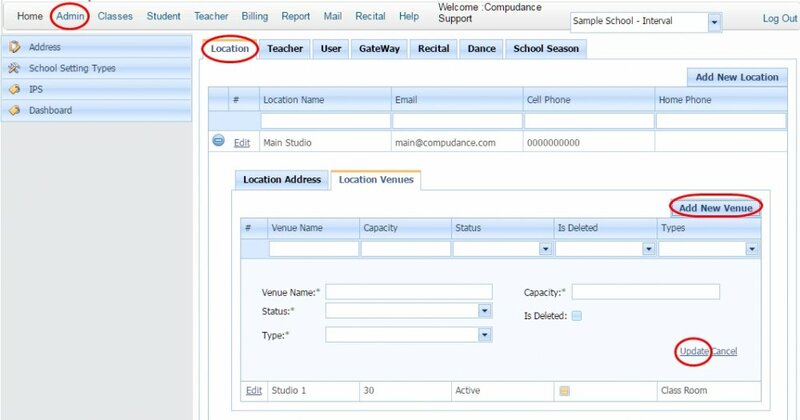 Edit an existing venue by clicking Edit in front of the listing. Make sure you click Update to Save.